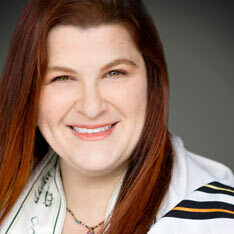 A graduate of the University of California at Berkeley, Rebeccah Birken Yussman earned a degree in Religious Studies, concentrating on Jewish and Biblical Studies. Rebeccah then earned an additional B.A. in Hebrew Literature as well as Master of Arts in Education from American Jewish University. Congregation Tikvat Jacob as well as co-led the Noar teen program. school, adult learning programs, and the general community.